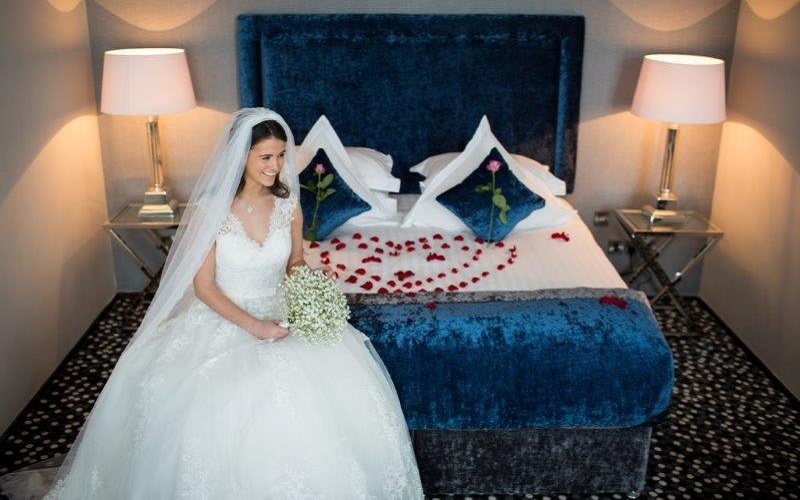 Situated in the heart of County Antrim, the picturesque setting of The Dunadry Hotel and Country Club provides the picture perfect venue for couples who want to get married in the countryside. The landscaped gardens, Six Mile River and forestry make a striking backdrop for wedding photos. Licensed to host civil ceremonies, couples can choose to get married in the gardens (weather permitting) or in one of the luxe rooms. The family-run hotel adheres to a ‘one wedding per day’ policy to ensure that your day is unique to you. The Dunadray boasts over 80 bedrooms, each one with its own distinct décor. The rooms are spacious, airy and many have French windows leading out onto the gardens or inner courtyard. 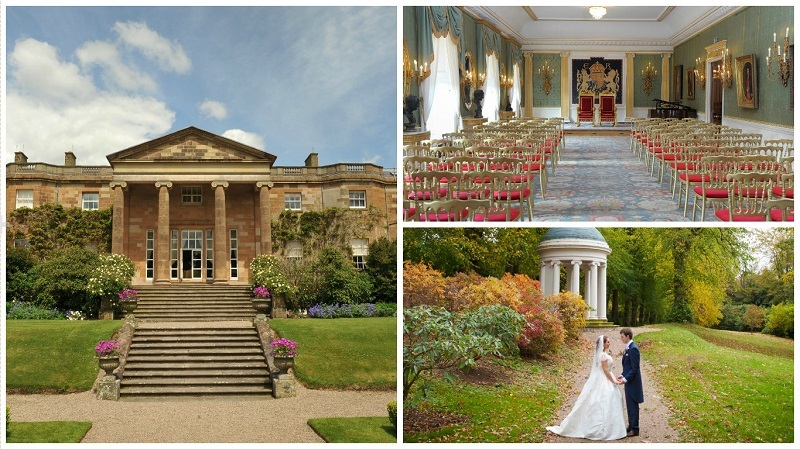 Walk in the footsteps of presidents and princesses and marry at Hillsborough Castle. 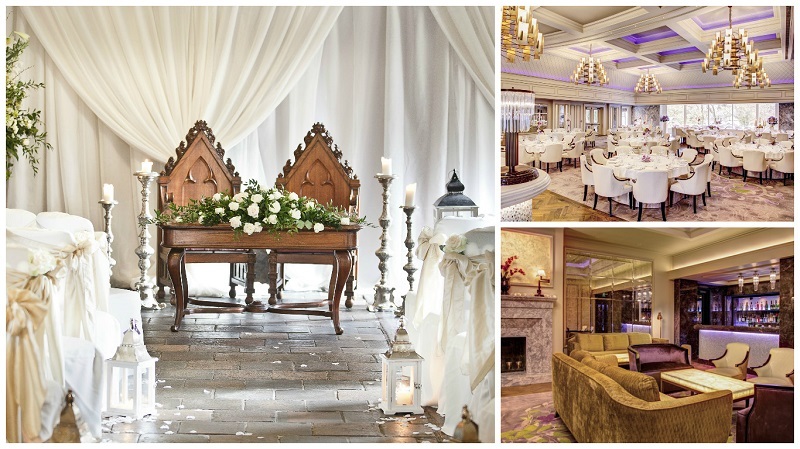 With magnificent stately rooms, opulent furnishing and spectacular gardens, this is one impressive wedding venue, located only 20 minutes from Belfast. Say your vows in one of the castle’s stately rooms or outdoors among the woods, alongside the waterways or in the garden. Gazebos and marquees can be erected on the grounds. Hillsborough Castle can cater for small groups and larger parties, the Red Room is perfect for an intimate reception of 10 guests, the Throne Room can accommodate 90 diners, while the marquee can accommodate up to 350 people. For top tips on how to style your castle wedding venue click here. This four-star hotel offers the best of both worlds; it’s only 15 minutes from Belfast city and still has a fabulous countryside location. 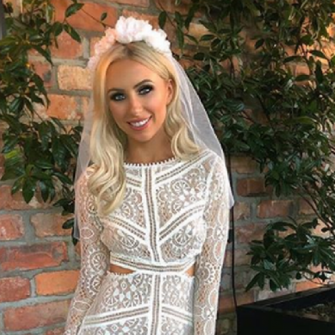 Licensed to hold civil ceremonies, guests can celebrate their entire wedding day at La Mon Hotel and Country Club and choose from a variety of indoor and outdoor locations for the ceremony. Upon arrival as bride and groom, sip a glass of Champagne on the red carpet before relaxing by the open fire or in the sun-filled gardens with your guests. 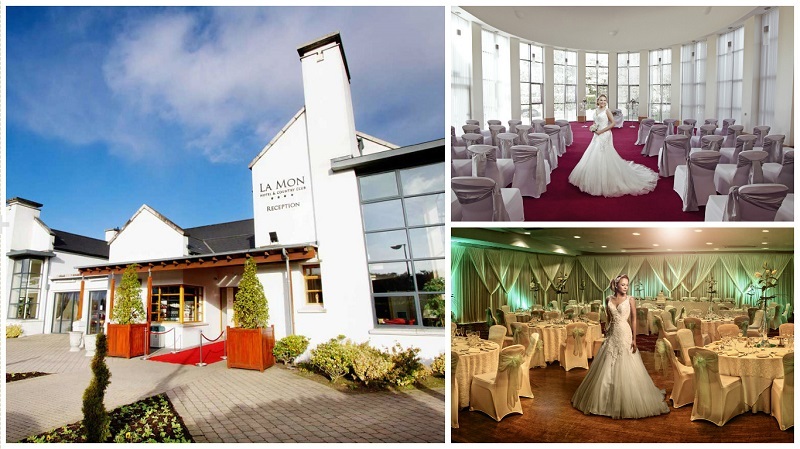 Go along to the La Mon Wedding Open Day on Sunday 14th August from 1pm to 4pm or Sunday 9th October from 1pm to 4pm, to meet the wedding planning team and see the exquisite ceremony suits, accommodation and gardens. For country-chic styling advice click here. Northern Ireland’s premier luxury hotel and spa, the Galgorm Resort & Spa has undergone extensive refurbishment. The Antrim hotel is located in lush parkland with the River Maine flowing through the estate provides a serene setting for wedding parties. The refurbished Great Hall features a stunning new reception area with parquet flooring, solid oak doors, and a feature bar with marble and gold accents. Exceptional interior design elements create a chic country house atmosphere. Last year the hotel unveiled a £11m Thermal Spa Village offering guests a world-class spa experience. State-of-the art facilities include log-fired riverside tubs, a snow cabin, new sauna and steam rooms. Guests are provided with a map on arrival and are encouraged to follow their own holistic journey through the spa’s facilities – a relaxing way to spend the post-wedding day. 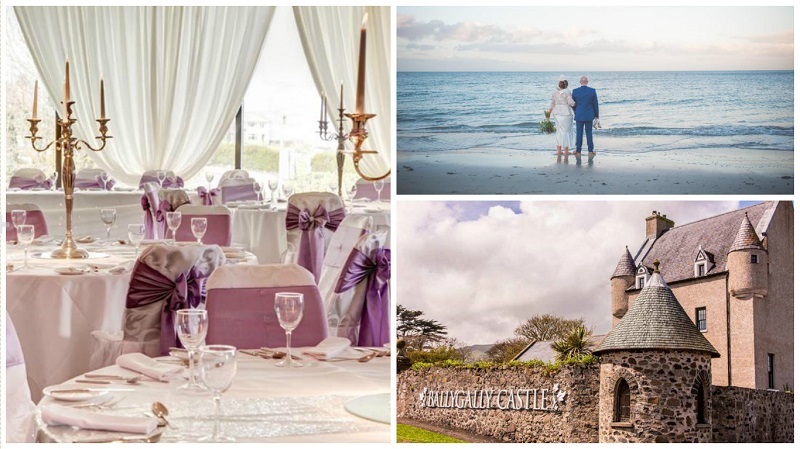 At Ballygally Castle you get to be the King and Queen of the Castle for your special day. 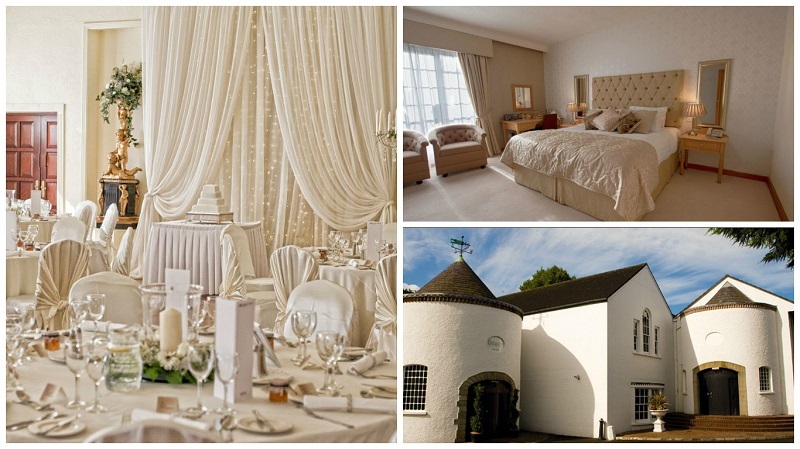 With a one wedding per day policy, it’s your exclusive wedding wonderland in a beautiful Antrim wedding venue. The dramatic backdrop of sea, mountains and rugged cliffs just add to the character and charm of the castle itself and provide a stunning spot for wedding photographs. With over 60 years’ experience in planning and organising weddings our attentive and helpful expert team will ensure that planning is relaxing and enjoyable and the day itself memorable. The Perfect Bliss Wedding Show will take place on Sunday 9th October 2016 and again on Sunday 22nd January 2017. Choosing the perfect venue is one of the most important decisions you’ll make for your wedding. But don’t worry! The brand-new Wedding Journal Directory of full of the very best Wedding Venues in Co. Leitrim.